Recycling is a process that takes materials or products that are at the end of their lives and transforms them into either the same product or a secondary product. When a material is recycled, it is used in place of virgin inputs in the manufacturing process, rather than being disposed of and managed as waste. Therefore, recycling, especially the recycling of wood waste, is beneficial in delaying the release of greenhouse gas (GHG) emissions as well as leading to increased carbon storage in trees. According to Singapore Waste Statistics 2012, approximately 343,800 tons of wood waste and 247,800 tons of horticultural waste are generated annually. With limited land space and scarce natural resources, there is a huge incentive for Singapore to increase recycling rates. Furthermore, recycling leads to a reduction in carbon footprint and lower environmental impact. To quantify the potential environmental benefits of recycling wood waste, three approaches are introduced. However, there are several limitations associated with these approaches. To avoid under- and overestimating the avoided emissions due to the recycling of wood waste, a methodology for fair and reasonable assessment is introduced. A case study of a local wood waste recycling plant is presented to illustrate the proposed methodology. Results show that the recycled technical wood product has lower carbon footprint (12.8 kg CO2e) than a virgin hardwood product (16.2 kg CO2e). 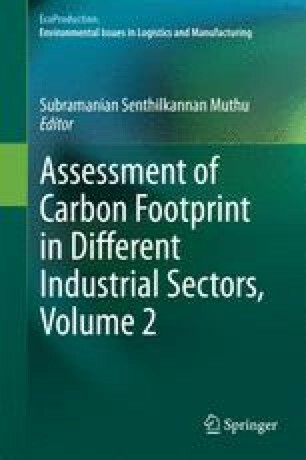 When the effects of avoided impact are taken into account, the carbon footprint of the technical wood product may have an even lower carbon footprint (−2.9 kg CO2e), clearly illustrating the environmental benefits of recycling wood waste.